This answers some of what is found in two newspaper articles published online, both of which reported, in mid-January of 2018, sightings of apparent living pterosaurs, or “pterodactyls,” in North Carolina. They also commented on my writings on these flying creatures. Because of mistakes and weaknesses in these two newspaper stories, I don’t want to make them too dominating in search engine results: I won’t provide links here, but both articles should be easy enough to find. I don’t mean that publishing those two news articles did more harm than good, not at all. People in North Carolina, and in other states of the USA, need to know that these sightings are taking place. It’s just that accuracy and fairness were far from perfect. Cryptozoology is a collection of human activities, each of which involves some degree of positive thinking about the possibility that a potentially real animal, one that has not yet been accepted as real by Western scientists in general, is a real animal. I suggest that the above definition is more accurate than many others, especially the one on Wikipedia. Unfortunately, the writers of the N&O news article chose to use something like the Wikipedia definition. Using the above definition, however, can help people to understand that cryptozoology is not pseudoscience, not unscientific, and is not a branch of zoology. The Wikipedia article is not 100% wrong, yet it is far from accurate and completely wrong in saying “it does not follow the scientific method.” It could be more accurate to say that scientists do not follow the scientific method in their common daily routines. In reality, any cryptozoologist can use the scientific method as much or as little as he or she chooses. For example, I have used wingspan estimates from a compilation of sighting reports and came to conclusions based upon the shape of that overall numeric data. That was only one step in a process, however, for the scientific method involves a number of processes. The final stage came to this: the overall data from the 128 more-credible sighting reports points to these encounters being with real animals, and most of the sightings, if not all of them, were most likely of modern living pterosaurs. Am I (along with my Associates) Crazy? The News & Observer article may not be far off when it says, “Dismissed as lunacy by paleontologists and other academics, Whitcomb’s work . . .” In reality, however, only a tiny fraction of the paleontologists of the world, or even in the United States, are likely aware of my work. Among those limited numbers who know about my living-pterosaur investigations, a few have been vocal in criticizing my work and writings or ridiculing the religious beliefs of me and my associates. In reality, only a tiny fraction of my writings have been about religion, and the critics have usually written as if they knew my religious beliefs. In other words, they write about what they imagine I believe rather than about what I have actually written or about what I actually believe. Why do I mention that kind of belief here? Many of the scientists who criticize the ideas of me and my associates often write about our religious beliefs, something even mentioning religion more than they mention anything scientific. If my associates and I are in the minority, among Western scientists and researchers, regarding religious belief in scriptures (like those about the Flood of Noah in the Bible) that does not make us crazy. It may, however, make us resemble Sir Isaac Newton much more than our critics resemble him, in terms of belief in the Bible. Universal extinction is the assumption, in Western culture, regarding pterosaurs, so when somebody reports a pterosaur sighting in Raleigh, North Carolina, we can expect objections from skeptics. Where do these flying creatures appear? They have been reported in Raleigh, Durham, Asheville, Wilmington, and in other areas of N.C.
Whitcomb wrote nine editions of four nonfiction books, one scientific paper in a peer-reviewed journal of science, and over a thousand web pages and blog posts on sighting reports of featherless flying creatures described like pterosaurs. Glen Kuban (GK) and I have a few things in common. We’ve both been writing about reports of apparent extant pterosaurs (or those who believe in them) for a long time, and we’ve written a lot. I started late in 2003; and GK, in 2004. We differ, however, in how we interpret those reports. The second part of PLP goes into more details, regarding encounters with apparent extant pterosaurs, compared with DLP, and there is limited overlapping of what sightings are covered. I may have included the following eyewitness report of a living pterosaur in one of my nonfiction books, but it seems that I have not previously published the account online, so here it is . . .
Over the past thirteen years, I’ve often written about the pterosaur sighting by Duane Hodgkinson. My associates and I consider his sighting report to be one of the more important ones in our field of cryptozoology. Why do I mention his ropen sighting again? The skeptical writings of Glen Kuban need to be answered, for his recent remarks about Duane Hodgkinson can be extremely misleading, even if Kuban is sincere and even if he has never been dishonest. Indeed, he seems to me to have mislead himself, but I’ll save that subject for later. As of late October, 2017, this web page is enormous: According to Character-Count-Online, it has 229,223 characters, which is more text than is found in many books. At 5.1 characters per average word, “Living Pterosaurs” would have almost 45,000 words, but it seems that Kuban sometimes uses longer words: Character-Counter-Online reveals his online publication has only 36,273 words. Take it in context: Many web pages and blog posts have between 100 and 400 words. 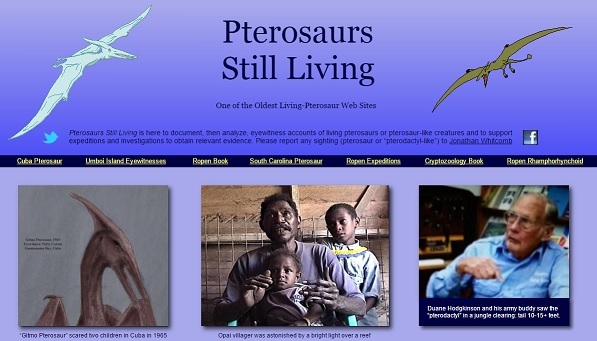 If the investigations into eyewitness reports of apparent living pterosaurs are as worthless as Kuban portrays them to be, then why did he write and publish a web page that is about 100 times as large as a typical web page on the internet? Why has he gone to such enormous trouble to convince people of what the vast majority of Westerners take for granted: the idea that all species of pterosaurs are long extinct? Surely part of the reason is because somewhere deep down he has come to doubt that extinction axiom and is trying to convince himself that my associates and I are completely wrong. With the above three points in mind, after reading the following feel free to visit Kuban’s “Living Pterosaur” web page, for you’ll then be better prepared to be objective in comparing our differing opinions about the possibility of living pterosaurs. The army buddy was adamant about not wanting to talk about the encounter. He never denied that they had seen a pterosaur, in the usual sense of denying something. He never said anything that would suggest there was any bird or any bat involved. He simply insisted that he would keep quiet about what they had seen. In other words, he made it clear that he would never admit that they had seen a gigantic living pterosaur. In other words, it’s quite possible that, after leaving that jungle clearing, the buddy never mentioned the encounter, preferring to keep quiet about it for the rest of his life. Take that in context. Kuban apparently never communicated with either Hodgkinson or the army buddy. Guessman and I have interviewed Hodgkinson, and it was clear to us what the veteran said about the buddy who had no desire to tell anybody that they had seen a living pterosaur the size of a small airplane. The denial was ONLY immediately after the sighting, and nothing was said by that buddy about any possibility of any misidentification. In other words, that buddy preferred to pretend that they had seen nothing at all. If anyone has interviewed that man, I would be interested to know what he said, but all we have to go on, for now, is what Hodgkinson has told us. Kuban says, “Whitcomb displays a large degree of confirmation bias here, by fully trusting Hodgkinson’s word and memory, while dismissing without basis the testimony of his more scientifically knowledgeable friend.” Yet Kuban never seems to have interviewed either eyewitness, and Guessman and I have interviewed the only one who has, apparently, ever been interviewed regarding this sighting in 1944. Kuban seems to have completely missed the point that seems perfectly clear to me and to Guessman: The army buddy had no intention of setting himself up for ridicule. Why would any soldier want to be laughed at and made to look like a fool? If the buddy was indeed “more scientifically knowledgeable,” as Kuban says he was, then why is no mention ever made about any possible misidentification? Why did neither of the eyewitnesses, apparently, ever say anything about any misidentified bird or bat? Only one explanation do I see here: Almost any person with education in science who saw a strange bird or bat in a jungle clearing, and who had a companion who said that it was a pterodactyl, would say SOMETHING about the possibility that it was a bird or a bat. Why did that “scientifically knowledgeable” man insist that they had seen nothing? It’s this: Hodgkinson was right and no bird or bat was involved. The nonfiction Searching for Ropens and Finding God was written for readers of all faiths, with astonishing eyewitness accounts from around the world, from ordinary persons from different cultures and religions. Paiva and I have not declared that it [the apparent pterosaur in a photo] must be a species of Pteranodon. We simply suggest it appears similar. In other words, we have stated something very similar to what Kuban states or implies: It gives some persons the impression that it is like a Pteranodon. This includes the cryptozoology book Searching for Ropens and Finding God (by Jonathan Whitcomb of Murray, Utah). I knew from the beginning that some readers would be LDS, yet I mostly had a broader audience in mind: Christians who had long maintained faith in the Savior of mankind but who had become troubled by the philosophies of the world, in particular indoctrination into the extreme naturalism philosophy . . . I have written one scientific paper in a peer-reviewed journal of science. Yes, only one. Most of those honored with the title scientist have written many scientific papers, and those men and women generally have advanced educational degrees. I have no advanced degree in science, yes none. With all that said, however, beware of over-simplistic thinking. With limited obvious credentials, why do I suggest I am an expert in my specialty, a field most persons would assume is a branch of science? My associates and I are experts in a narrow branch of cryptozoology, namely in sighting reports of modern pterosaurs, and cryptozoology is not considered a branch of zoology. Yet there’s much more. I have probably spent more hours on this subject than any other person on the planet, over 10,000 hours over the past eleven years. That in itself does not make me a scientist, of course, but that much time can sometimes open the door leading into scientific investigation, and this is the critical question: Have I, Jonathan Whitcomb, stepped through that door? This is hardly my favorite subject, why I am a scientist. Why do I write about it now? An acclaimed paleontologist recently wrote a post, mostly about me. I will not mention his name here, but he has written more than 30 books and more than 250 scientific papers, according to Wikipedia. That led another writer to also write about me and assume that I am not a scientist. That second post is why I write about how I, Jonathan Whitcomb, can indeed be a scientist. It was the second writer, who does not appear to be a scientist herself, who wrote, “Whitcomb, who is not a scientist by any stretch,” but let’s confine ourselves to the first post, written by the man who is an undisputed scientist. It could have been a prized recommendation for my eleven years of work in my field, if only he had said something positive about me; but no, this particular scientist ridiculed my work, concentrating on accusing me of writing dishonestly and inappropriately. He provides no proof of my supposedly shameful motivations, but his sources, in my opinion, are just libelous web pages that also ridicule me as dishonest and underhanded. If only this particular paleontologist had devoted himself to scientific reasoning, rather than assume I was deceitful and then ridicule my religious beliefs! Unfortunately he avoided anything scientific in his post. Yes, this acclaimed scientist, in that post, said nothing scientific. I may be more of an investigative reporter than a scientist and certainly more like a journalist than a jurist who judges the honesty of someone on trial. I do not accuse my accusers of dishonesty. But the subject now is science; please consider the following. I have analyzed statistics from 128 sighting reports, accumulated and recorded systematically at the end of 2012. My analysis revealed three separate factors that each demonstrated it was unlikely that any significant number of hoaxers could have been involved in those 128 eyewitness accounts. I could say more, but I now submit that this particular part of my work was scientific, using mathematics to gain knowledge about one of the major objections that skeptics had brought up about reported sightings of living pterosaurs. The old hoax-conjecture has been disproven. I hope that I have never used bulverism, as one paleontologist has done, in ridiculing someone with whom I disagree. I suggest that each of us participate in discussing the issues themselves rather than accusing others of deceit or making fun of other’s religious beliefs. Why should a scientist abandon scientific discussion in diving into dirty politics? Is Jonathan Whitcomb a Paleontologist? I’ve received emails from eyewitnesses from four continents plus islands in the Pacific, emails about flying creatures that resemble “primitive” or “prehistoric” animals more than any bird or bat. On occasion I am able to talk with an eyewitness by phone or by face-to-face interview. One critical point here, unappreciated by some paleontologists, is that those eyewitnesses come from various countries and have different backgrounds and beliefs, including differing religious beliefs. “Stupid Dinosaur Lies” or the Truth? Let me make this plain: I am not accusing the originator of Stupid Dinosaur Lies of deception. I am defending the honesty of me and my associates. That ludicrous sentence with five errors does suggest the writer was more likely to have been careless than dishonest. But the accusations, direct or indirect, are against those of us who have traveled to Papua New Guinea to search for living pterosaurs and those who later reported what was found in eyewitness testimonies. One of the web pages that caught this professor’s attention was my post “Bioluminescent Pterosaurs in Southwest Washington State.” We need to be clear about the differences between two professors, for Peter Beach has also taught biology but he has no doubt that modern pterosaurs live in the state of Washington and elsewhere. Anyway, do these things really still fly? I want to believe in big flying dinosaurs roaming the skies, but experience and common sense argue against it. So far I have never been chased by one as I wander through town. . . . I spotted a book “Live Pterosaurs in America” by Jonathan David Whitcomb, a nonfiction analysis of actual sightings in the USA. This I had to own, so I immediately ordered it from Amazon, and a few days later it was mine! And you know what — I’m glad I bought it, and have enjoyed reading it. A scientist, in a broad sense, is one engaging in a systematic activity to acquire knowledge. In a more restricted sense, a scientist may refer to an individual who uses the scientific method. The most recent cryptozoology book on living pterosaurs, I believe, is my second edition [now in third edition] of Live Pterosaurs in America, published November 20, 2010 [third ed. publ. Nov 2, 2011]. As far as I know, it is the only nonfiction book devoted to eyewitness reports of these creatures flying in many areas of the United States. Reports of huge flying “pterodactyls” in American skies have floated around the internet for years; but before about 2005, details were scarce. When an eyewitness was named, the interviewer was often anonymous; even when an eyewitness was credible, and the account published in a newspaper, the story was ridiculed, discouraging others who had also seen strange flying creatures. Where could eyewitnesses go? What a predicament for them! Who would believe their reports?
. . . a sighting I had back in the late 1970’s or early 1980’s. I grew up on a farm and picked cucumbers to make money as a kid. . . . one late afternoon, I had just brought out the tractor to pick up the bags of cucumbers when I noticed a strange looking bird in the sky. . . . The thing that caught my eye was that it looked like something straight out of the dinosaurs era. It scared the . . . out of me right away. I knew it was not a sand hill crane, which we have a few hundred migrating thru. What stood out was the long pointed head and the fact that there was a very long tail between the legs and with a ball shaped on the end of it. Ken Gerhard is an accomplished cryptozoologist and field researcher for The Centre for Fortean Zoology and The Gulf Coast Bigfoot Research Organization , as well as a fellow of the Pangea Institute. A LEGEND ON LEATHER WINGS! The Indians called it the Thunderbird, a winged monster so vast that the beating of its mighty pinions sounded like thunder. But this ancient beast is not to be held in the cage of mythology. Today, from all over the dusty U.S. / Mexican border come hair-raising stories of modern day encounters with winged monsters of immense size and terrifying appearance. Expanded second edition: An American flight instructor, an Australian psychologist, many natives on tropical islands, an Australian couple, a Baptist minister, a teenaged farm-boy–each saw a giant living pterosaur. Each was amazed, or terrified, or shocked by a brown or dark-colored featherless creature: long-tailed and with a wingspan as great as fifty feet. Why have many Western scientists been wrong about universal extinctions? Read how standard models of macro-evolution have actually caused the problem, indoctrinating millions into believing that pterosaurs are extinct and ancient. They live now. Live Pterosaurs in America is in its third edition, and Searching for Ropens and Finding God is in its fourth. To learn about those two nonfiction books and two others about modern living pterosaurs, see the post about four cryptozoology books. Scott Norman did not believe he would see a living pterosaur, as he sat alone, taking his turn watching the night sky. A bird is what his friends had probably seen. But at 2:00 a.m., less than forty feet away, what flew over the shed was no bird. The head alone was about four feet long; the head crest, two feet long, like that of a Pteranodon. Discover for yourself these amazing yet true stories and why they are usually absent from news headlines. Learn of the searches and research done by a few American cryptozoologists who stand up to ridicule and proclaim the truth. Why delay? Each account was scrutinized before inclusion in this nonfiction book. Each person who reads it receives something that can make life more meaningful or at least more exciting. See for yourself. Big Foot and Nessie, move over. A living pterosaur is catching attention, and the ropen has now become a valid cryptid. In recent years, two nonfiction cryptozoology books about living pterosaurs have been published (Searching for Ropens and Live Pterosaurs in America); two more books have been written with major living-pterosaur content (Big Bird and Dinosaurs – Dead or Alive). Reports of giant flying “pterodactyls” in American skies—those have floated around the internet for years; but before about 2005, details were scarce. Even when an eyewitness was named, the interviewer was often anonymous; even when an eyewitness was credible, and the account published in a newspaper, the story was ridiculed, discouraging others who had also seen strange flying creatures. Where could eyewitnesses go? Who would believe them? A cross-genre nonfiction (true-life adventure plus religion plus cryptozoology), Searching for Ropens has been called the “Bible” of living-pterosaur books. Most of the sightings examined are in Papua New Guinea, with some from surrounding countries included (especially Australia). It’s been almost seven years since I began investigating reports of living pterosaurs. Around early 2004, I first met resistance to what I had published on web pages: eyewitness accounts of flying creatures that “modern” science declares universally extinct millions of years ago. But resistance continues, in various forms. I classify the objections: cryptozoology, misidentification, native superstition, religion. But what seems to feed the objections is fear. Critics fear an apparent threat to their philosophy or fear trusting someone who appears different, someone who could be lying. Jealousy might sometimes play a part, but let’s consider the basic objections themselves. “Where is a dead body or a photograph of a pterosaur?” As of early 2010, living-pterosaur investigations have remained cryptozoological, for most of our evidence is still in eyewitness testimonies. I suggest that some critics have misunderstood cryptozoology; they recognize that our evidence is outside standard zoology, and they thereby assume that our declarations are without merit, as if we were trying to rewrite biology textbooks. Those critics fail to appreciate the history of discovery, for example, the discovery of gorillas in Africa; early evidence was dismissed, perhaps because it was labeled “heresay.” But cryptozoology, when properly used, is like a prod for stubborn cattle that refuse to move. The cryptozoologist is not an insurgent trying to burn down principles of scientific inquiry but a motivator trying to motivate the zoologist to make official discoveries. I believe that my associates and I have used cryptozoology properly: to motivate biologists and others to search and research and discover. We hope that the creatures involved here, apparent living pterosaurs, will soon be officially discovered, graduating from cryptozoology to biology. “Eyewitnesses are seeing ‘flying fox’ fruit bats or Frigate birds.” Nothing is easier than ignoring what passes through our hands, packing everything away while labeling the box with one word: “misidentification.” I suggest examining each eyewitness report. Duane Hodgkinson described a flying creature with a tail that was at least 10-15 feet long: obviously not any known bird or bat. Brian Hennessy described a beak that was indistinguishable from the rest of the head, a long tail, and no sign of feathers: not likely any bird or bat. Many eyewitnesses describe a bright glow from a nocturnal flying creature: not likely a fruit bat or a Frigate bird. How much better to examine descriptions rather than ignore them and only imagine what someone else has seen! “Natives who talk about the ropen are superstitious.” As explained in the second edition of my book Searching for Ropens, a superstition can be harbored by any culture or society, not just uncivilized natives. But the natives of Umboi Island who told me about their personal observations of the ropen–those islanders left out traditions and legends while telling me about their experiences. They understood that I only wanted to know what they had seen, and they complied. That makes all their unmentioned superstitions irrelevant, for they were not interpreting (as Westerners often do) what their experiences meant: only what they had experienced, what they had seen. “Live-pterosaur believers are creationists, so we can’t believe it.” What about Sir Isaac Newton? He may have spent more time studying, reasoning, and writing about Biblical scriptures than about science; does that force us to disbelieve in Calculus? Galileo believed that the Bible could “show us how to get to heaven” (but not “how the heavens should go”); does that force us to believe that the earth is the center of the universe? We don’t have to disbelieve in a mathematical or scientific achievement (or cryptozoological investigation) just because the scientists or investigators hold to different religious beliefs than we do. Most of the explorers and investigators of living pterosaur reports have been labeled “creationists.” These individuals have held individual beliefs and approaches to communicating their beliefs. (I am one of them.) Our religious beliefs include concepts or perspectives on life-origin. Those who criticize us for those points of view often assume that we are significantly biased and unable to conduct our investigations objectively. But they fail to realize that every human has at least some potential for bias. The solution to the universal problem of human bias is to carefully examine the evidences and reasonings of investigators. Leave conjectures about bias-of-the-opponents to the post-mortem examination, should a hypothesis or theory prove itself dead. At times, critics appear to accuse us of seeking to overthrow “science,” as if we were using cattle prods to force their pet cows into a slaughter house. I think of it more like opening the gate leading to a safer pasture and waving off cattle that are feeding on poisonous vegetation. But the conflict between strict Natusalism philosophy and belief in a creative God is a deep subject, too deep for treatment here. 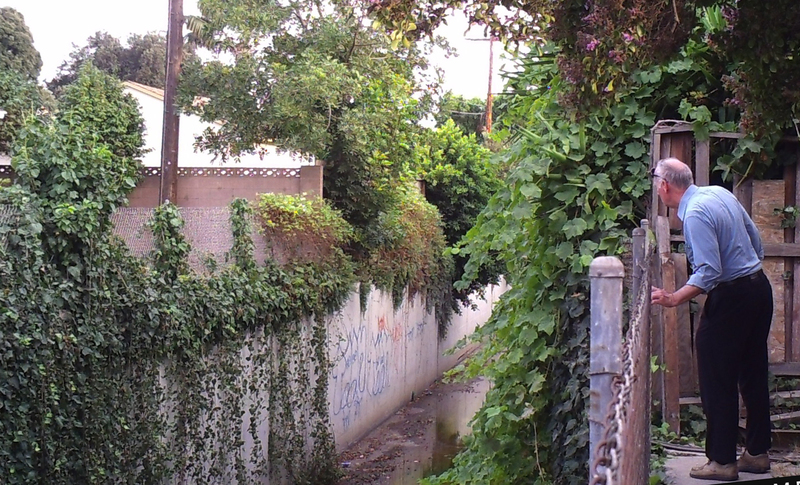 Since 1994, a number of Americans have explored remote jungles and interviewed many eyewitnesses of apparent living pterosaurs. Reports are no longer limited to remote tropical rain forests in Papua New Guinea, for similar flying creatures are observed in Australia, other parts of the Southwest Pacific, North America, Africa, and elsewhere. These featherless flying creatures are living worldwide. The general term "modern pterosaurs" refers to those non-bat featherless flying creatures that now live or have lived within the past 10,000 years. "Extant pterosaurs," however, is limited to those species that are now living, for many of them could have become extinct within the past 10,000 years.